Some people never grow out of their childhood fantasies! 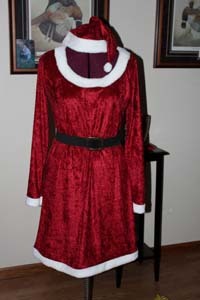 Costuming is a great way to get back to your childhood! Some people will go to great lengths to get the big prize! 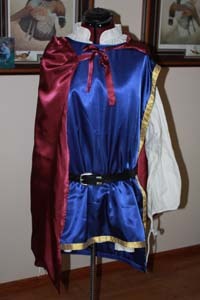 These costumes, Snow White and Prince Charming were specially designed to compliment each other for an annual family costume party. 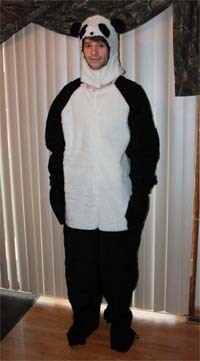 This costume was made for a college costume party for a kid who joked about being a panda. A costume guaranteed to turn some heads! The cheerleaders at PEM highschool had these costumes made for their annual "live manger" display. As Santa's little elves these girls made a very festive display! 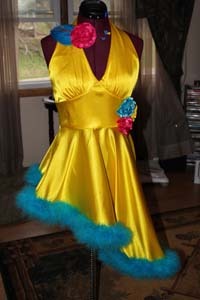 This dress was designed for a dance competition. Along with the dress I designed an outfit for this dancers partner. Together they were a fascinating couple! This outfit is Jessica from Toy Story. 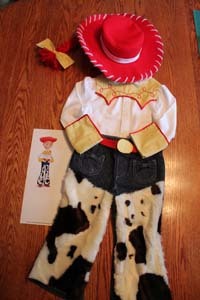 I made it for a little girl who’s brother was Woody for Halloween, but they could not find a Jessica outfit in a store. © 2012 All rights reserved. Website produced and designed by Lisa at Defining Element, Inc.